Treasure Map Telescopic Kaleidoscope is a fantastic version of this old favorite and creates some beautiful patterns when held to the light and turned. 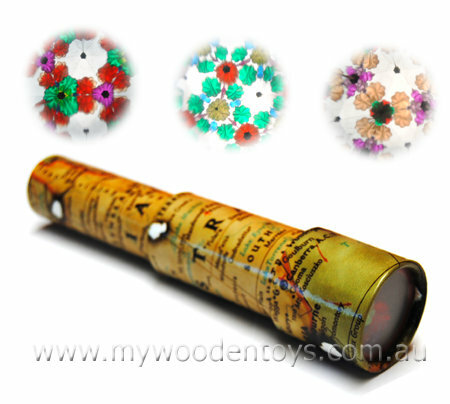 This traditional toy Kaleidoscope is covered in a map of Australia which has been aged to look like a treasure map. There are even burn marks. This kaleidoscope also extends like a telescope for even more pirate fun. This toy is made from very heavy duty cardboard and has a gloss finish . We like this because: "It extends like a telescope."